Toyota Material Handling Systems Group is a Material Handling Systems Integrator, delivering turnkey solutions to order fulfillment, distribution, and manufacturing organizations nationally. We re-engineer existing material handling processes, design new processes and implement complete system solutions that successfully handle those processes. From one end of your supply chain to the other, the TMH Systems Group will identify the most efficient methods and processes to meet your operational requirements. The Systems Group acts as your design-build contractor, giving you the benefit of dealing with one key supply chain partner to fulfill your complete system needs. We commit to a firm price, a firm completion date, and guarantee the performance of the recommended solution. We support our customers for the long term. We do not over design when a simple solution is warranted. 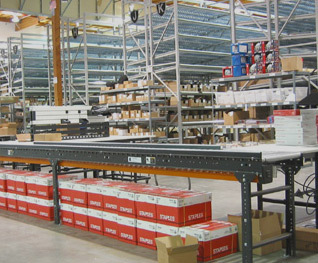 We have over 75 years combined experience integrating material handling systems. Our customers benefit through our long standing alliances with many strategic supply chain partners as well as through enhanced performance delivered by a proper “Blend of Solutions,” rather than a collection of separate components with varying capabilities. Unlike many of our competitors who manufacture products and, therefore, must include them in any proposed solution, TMH Systems Group remains product neutral and offers the best-of-breed technologies available. 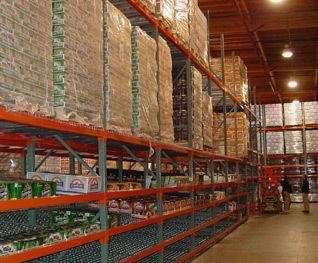 Questions about warehouse planning? We can help!